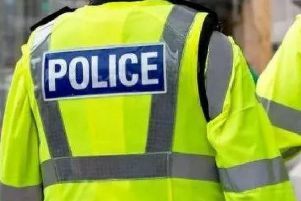 Three men have been arrested on suspicion of stealing steering wheels from parked cars in the Hove and Southwick area, Sussex Police said. At 3am on Tuesday (January 15) patrolling officers saw a car containing three men being driven in New Church Road, Hove. The officers became suspicious of the occupants and stopped the car. In the car were found two steering wheels from BMWs. Police said the three men, one aged 34 and two aged 24, all of no fixed address, were arrested on suspicion of thefts from vehicles and are currently in custody for interview and further enquiries. Officers then searched an address in Bognor where vehicle accessories including steering wheels were seized. A 24-year-old man was arrested at that address on suspicion of handling stolen goods. He is also currently in custody for interview and further enquiries. On the night of Sunday (January 13) to Monday (January 14), parked BMWs had been broken into and had steering wheels stolen in the following locations: Denmark Villas; Southwick Green; Arundel Street; Adelaide Crescent; Brunswick Place; Adelaide Crescent; and Sharpthorne Close. On the night of Monday (January 14) to Tuesday (January 15), prior to the arrests, steering wheels had been stolen from parked BMWs in the following locations: Roman Road; Goldstone Villas; Langdale Gardens; and St Heliers Ave.
Detective Sergeant James Meanwell said: "This was good work by two alert patrolling officers which we think may have nipped this particular activity in the bud." Hove councillor Robert Nemeth said: “It’s testament to the caring community that Cllr Peltzer Dunn and I represent that quite a number of residents got in touch with us to share information about the first night’s thefts. "We are shocked to hear that a second night of even worse incidents has taken place."